The basement bacon is a go. 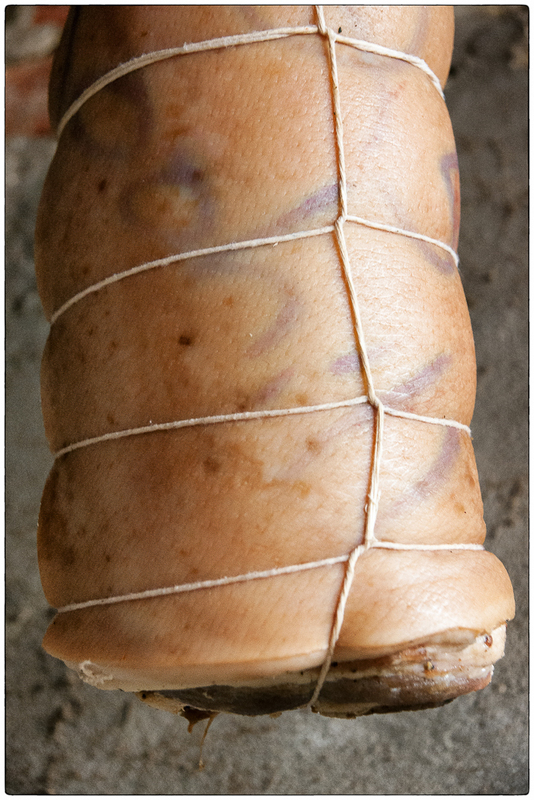 After curing for a few weeks, I rinsed it, tightly rolled one, and just strung the other slab up. I’ll start checking it for funk in about a month and let you know how it turns out. 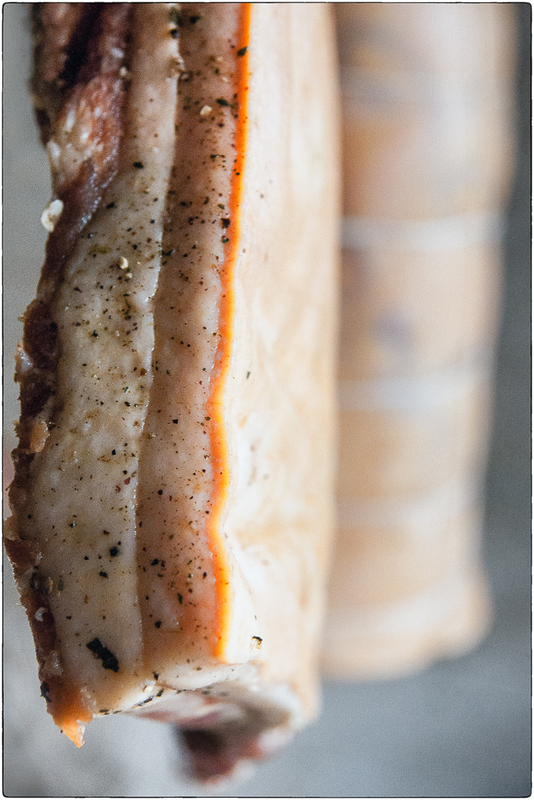 This tightly rolled pancetta will age better for a longer period of time, allowing it to develop more of that funk that makes pancetta fabulous. This little slab will be ready in a few weeks time but will just get better over the next month!